Discussion in 'General Discussion' started by RSTurbo50, Dec 18, 2016. Iv had the car over threee months now and covered about 1600 miles. The car currently has 87500 miles. Its a lovely machine to drive and extremely comfortable. Its had a full service and all is running well. A few weeks ago the drivers side window module failed. 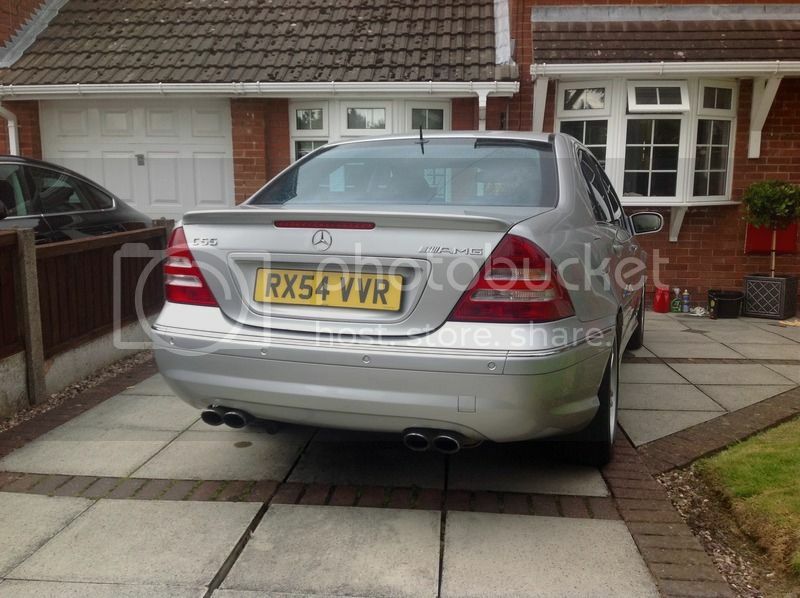 A new one from Mercedes was £387 plus VAT plus fitting. Fortunately, the £250 warranty I took out covered this and the window is now working great. MPG wise im averaging about 30 to the gallon but on a run it is more low 40's. I think it's a beautiful thing, and I like that combination of the deep blue with the cream interior. - I'm a bit concerned that my black-on-black makes it look like I'm a drug dealer. 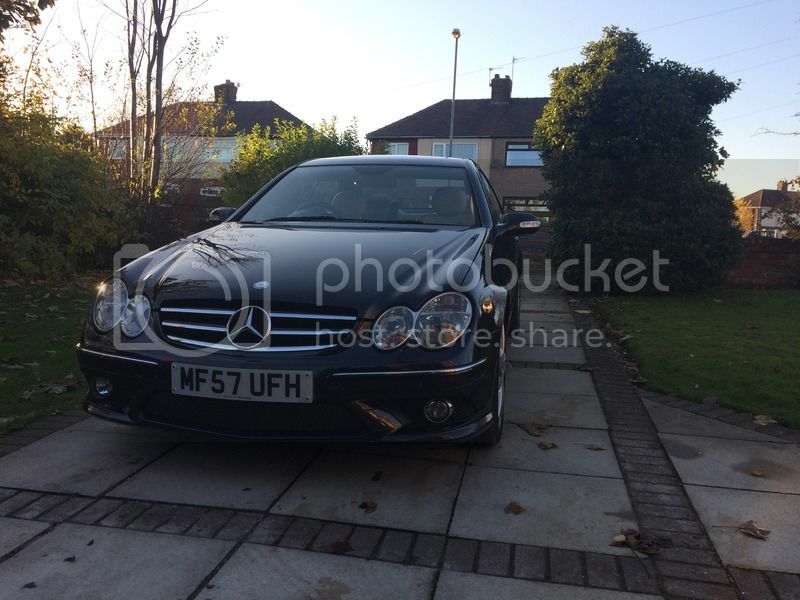 Nice as I said on someone else's CLK w209 pics, the front looks so much nicer than a C55. Wonder if I can fit those fog surrounds to mine. Also in defence of C55's you bought a bad one, it had C32 suspension for a start! Diamond black possibly? 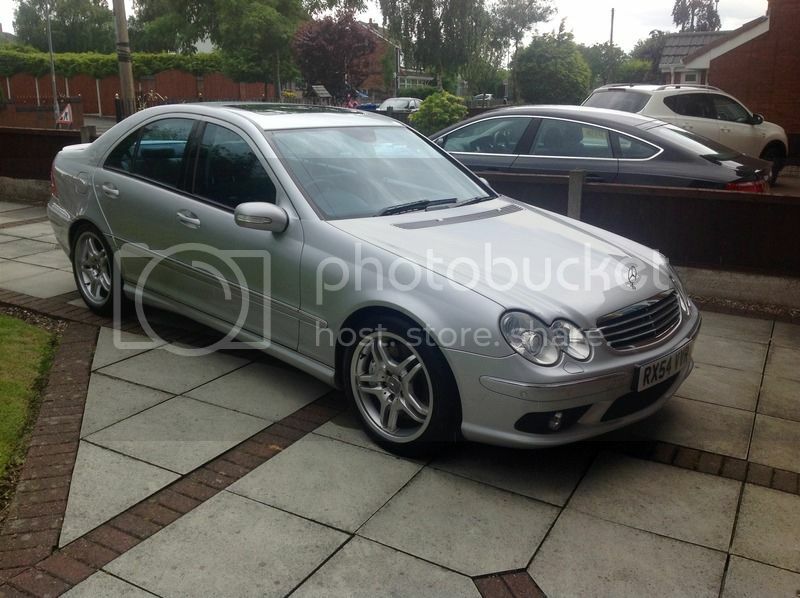 This was a 'special paint' option on the facelift W203 C-Class so could have been offered on the CLK also. Its a very deep rich blue in the sun and black in night time/cloud. 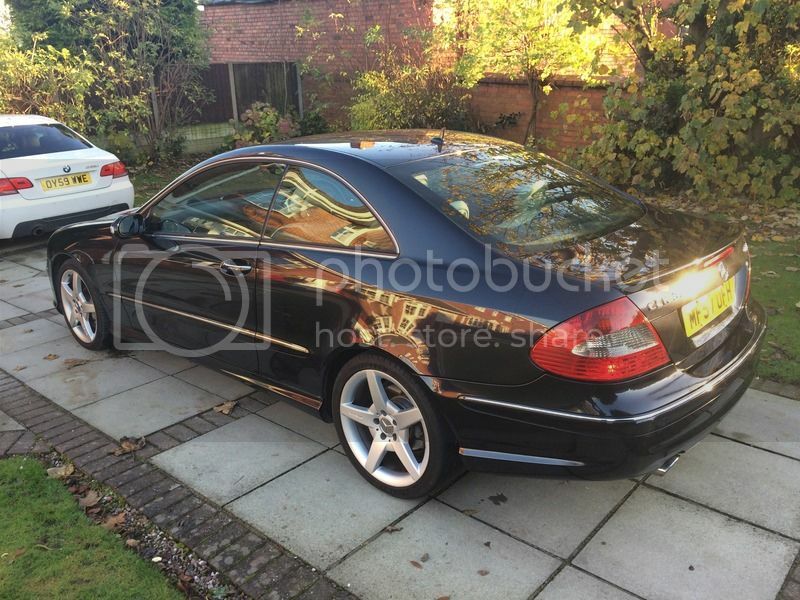 Really nice example of a CLK you have there. Is that the "sport" bumper? Lovely colour combo, still a lovely looking coupe years down the line. 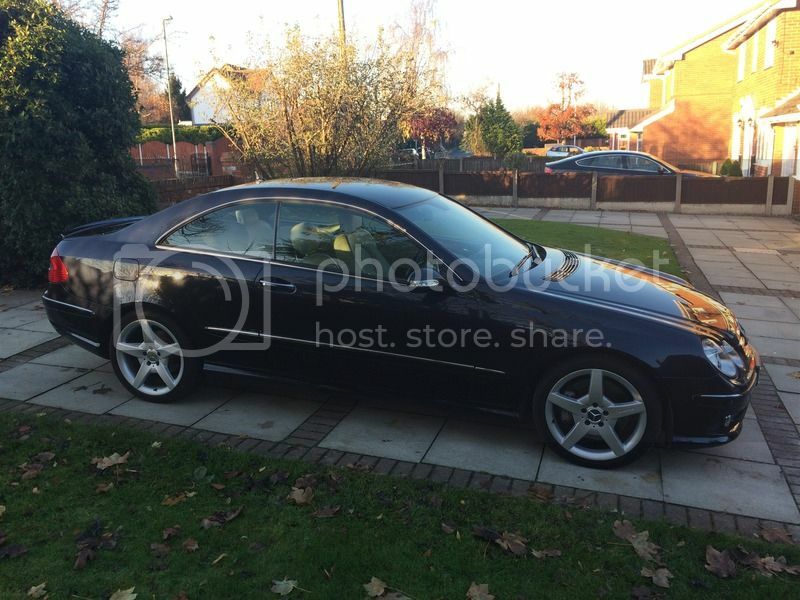 Yeah 'sport' or 'AMG pack/styling' or whatever it's called, seems to be closer in style to the clk63, but not quite the same or as aggressive. Thanks for all the positive comments. I'm going to have to try find out exactly what the colour is. The cream leather goes really nicely with it. 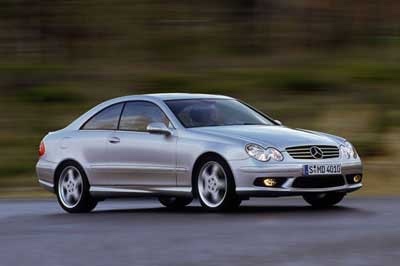 I actually think the Sport CLK looks nicer than the CLK55....much more aggressive. 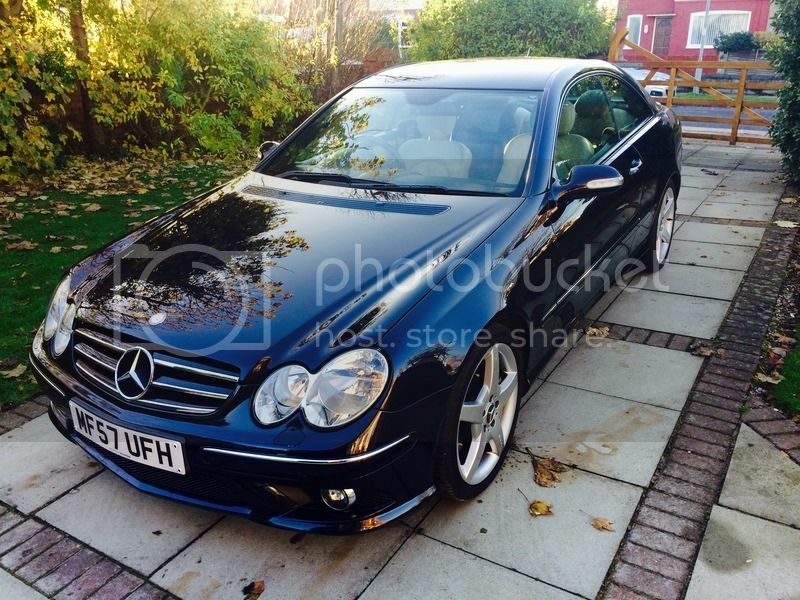 I also prefer it to the C Class coupe that replaced it. 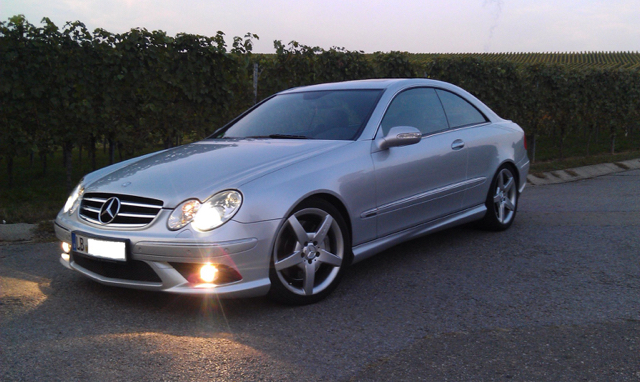 I wouldn't mind a CLK63 in the future but prices still remain very high unfortunately. 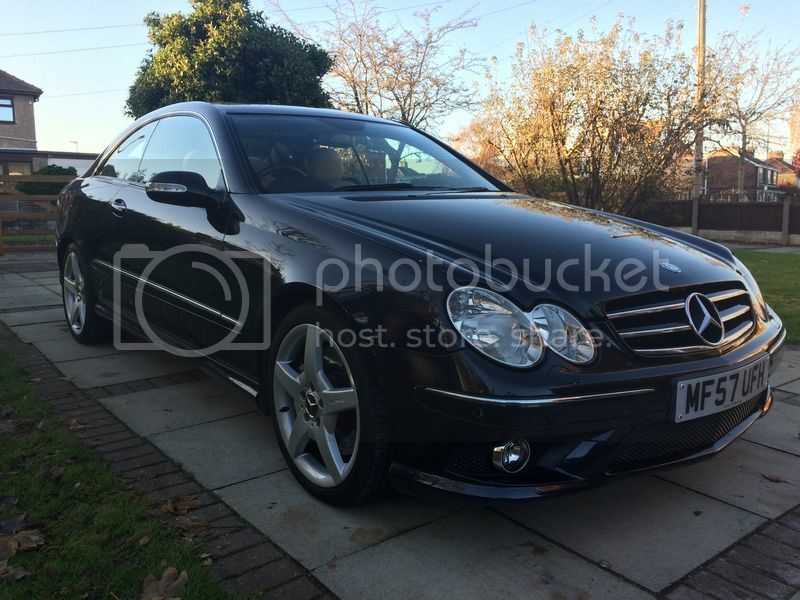 Is it worth getting than the 320 CDI engine chipped? It feels nippy enough and it's rare I put it through its paces as it's more a soft cruiser than all out thrash machine..
Remaps/chips promise from 260-290bhp, whether the gain is true or not, I'm not sure. They do but the cost is crazy. Mine also has round fogs. Just the surround bit isn't there on mine. Oh I see, I didn't think that they would physically fit in there, but looks like they do! I'm sure the chrome surround is attached to the plastic grille section on the CLK bumpers, but there must be a way to get these off (by destroying the plastic grille section). Im wondering if you can just swap the grilles over. They look the same size. 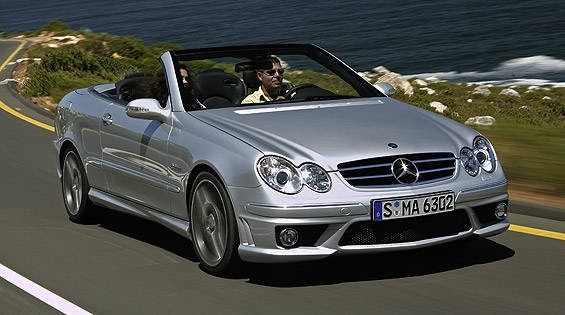 Though they are plastic and look different, id have to source a middle grille from a CLK as well. Oh I see, I didn't think that they would physically fit in there, but looks like they do! I'm sure the chrome surround is attached to the plastic grille section on the CLK bumpers, but there must be a way to get these off (by destroying the plastic grille section). Yes - the surround is attached to the grille.